Ekiti State Governor, Ayodele Fayose said this while reacting to the sack of former Chairman of the Presidential Task Force on Pension Reforms, Abdullahi Maina. Governor Fayose demanded the immediate arrest and trial of Maina as well as sack of all those who perpetrated his reinstatement, which he described as fraudulent and shameful. Governor Fayose, who likened Buhari’s anti-corruption fight to a situation where “Satan is calling Judas Iscariot a sinner,” reminded Nigerians that he said before now that the kind of corruption that will be witnessed in President Buhari’s government will be unprecedented. 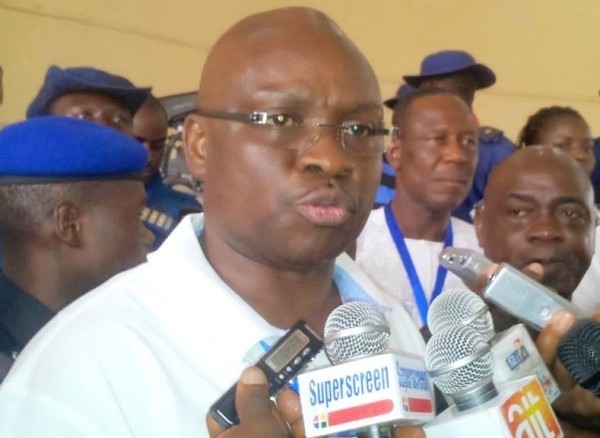 Governor Fayose, who described President Buhari and his men as defenders and protectors of corruption, said; “Even the former Chairman of EFCC, Ibrahim Lamorde, who was accused of corruption by the Senate, removed from office unceremoniously and declared wanted is now the Commissioner of Police in charge of the Special Fraud Unit (SFU), Ikoyi, Lagos.